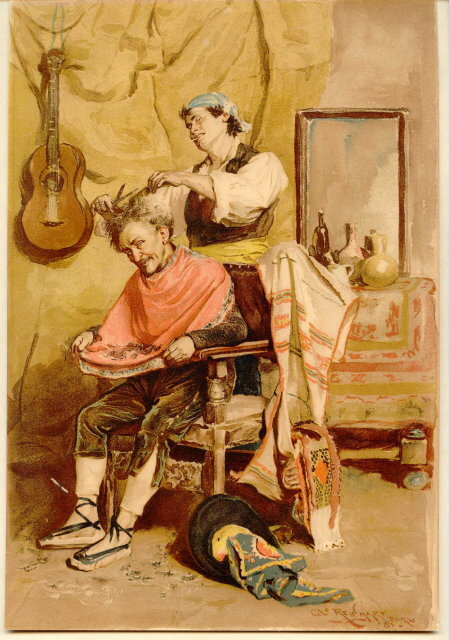 Lithograph print of what I call the "Gypsy Barber", by Charles Stanley Reinhart, a gifted illustrator of the late 1800's. Done in Paris 1881. 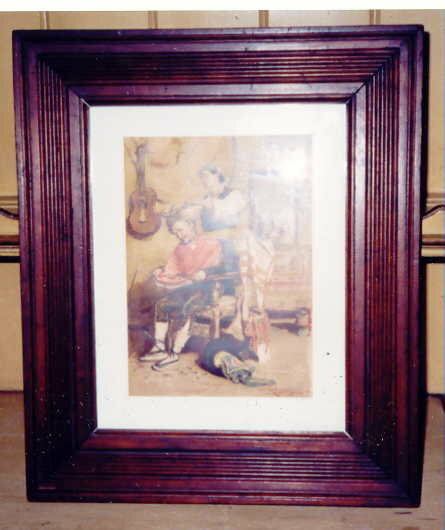 Wide wooden frame, matted under glass, measures 16" x 19.5" overall. Very good condition, well taken care of. Inglenook Antiques...Established 1989. Items Similar To "Charles Stanley Reinhart Lithograph 1881"